Managed I.T. services to fit your budget and enhance your business. 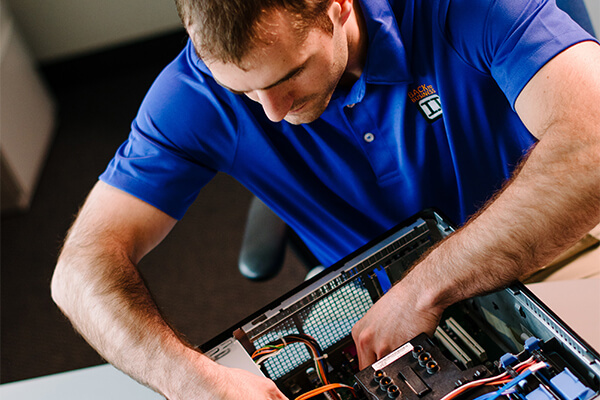 You can rest easy knowing your computer systems are current and ready for future growth as well as being monitored for problems 24 hours a day, 7 days a week – all by a team with expertise in I.T. solutions. Getting support is seamless and delivered using our secure remote support platform. Partnering with us eliminates the cost associated with hiring support employees. We can provide superior monitoring and maintenance and on-site support services at far lower costs than trying to go it alone. We keep our training, technology and support standards at high levels to reduce fixed costs and boost your return-on-investment. When you call on Back To Business I.T., we deploy our agents and take care of the hassles so you can advance!